papañca: complication, proliferation, objectification. The tendency of the mind to proliferate issues from the sense of "self." This term can also be translated as self-reflexive thinking, reification, falsification, distortion, elaboration, or exaggeration. who knows? -- tomorrow death. Things appear, and disappear, because they are dependent upon innumerable causes and conditions. Things don't disappear because we label them "empty." They are already empty of permanence and separateness, because they are utterly dependent. Things don't disappear, but our experience of them is transformed when we recognize that emptiness and interdependence are two aspects of the same nature. Recognizing that experience isn't really solid or permanent is the medicine for taking things too seriously. Sensitivity to suffering (especially others' suffering) is the medicine for passivity and meaninglessness. But emptiness is poison if it leads you to ignoring suffering, and suffering is unhelpful if it overwhelms. Falling into one of these ruts is not so good. But if you're lurching back and forth from one rut to the other, you spend at least some time on the road. The middle way is possible. We each have the ability to recognize the nature of experience and to ease the pain of living for ourselves and others. Do you have enough to eat? Many people do not! Please help alleviate hunger by contributing online. The point of cultivating awareness is to gain insight and clarity into the nature of suffering and its causes, and the end of suffering and its causes. Suffering arises internally, as painful sensations, emotional dramas, and mental struggle. And suffering arises externally as relational, social, and political conflict. One can debate and quibble over the meaning of "internal" and "external", but regardless of one's views and opinions, the suffering is there, and responding to it is the point of buddhist practice. Bhikkhu Bodhi, one of the great translators of Buddhist sutras, founded Buddhist Global Relief in order to "provide direct food aid to people afflicted by hunger and malnutrition, to promote ecologically sustainable agriculture, to support the education of girls and women, and to give women an opportunity to start right livelihood projects to support their families." BGR is a 501(c)(3) tax-exempt organization, with admnistrative and fundraising expenses of less than 10% of its budget -- a remarkably lean and efficient organization. Close to a billion people worldwide face hunger as a fact of daily life. Hunger and related illnesses claim some ten million lives each year, half of them children. The increasingly serious effects of climate change are making it ever harder on farmers and increasing the price of food. We may feel helpless in the face of so much need, but by joining together we can make a difference and make a gesture of care and compassion to express our commitment to helping those in need. For the past three years, I've helped organize the annual Walk to Feed the Hungry event in Seattle. (There are also walks this year in Houston, Los Angeles, New York, San Francisco, St. Louis, and other cities). This year the Seattle event is on Saturday September 6. Please join us. Check-in will open at 9 a.m., we'll warm up with some easy tai chi, and we'll start walking about 10:00 a.m. We'll walk down 15th to Madison, then up Broadway back to the Park. We will provide lunch for the monastics who will be with us, and everyone else is encouraged to bring a picnic and join us for lunch! Please join us by walking, raising funds, donating or volunteering. 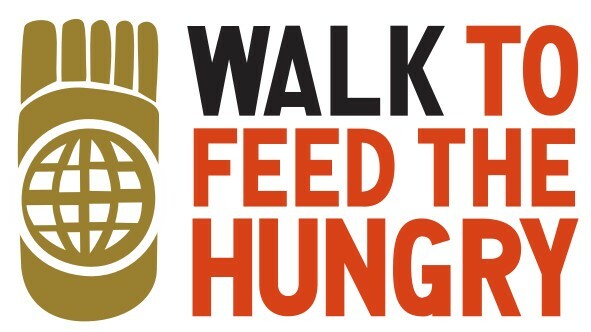 If you can't make it to the walk, donate and ask your friends to give to the cause of alleviating hunger around the world by contributing online. Large or small, your contribution will help relieve suffering. Inspiration, like any sensation or feeling, comes and goes. It is possible to practice every day whether one feels inspired or not. Intention is different than inspiration; intention depends on connecting with your own experience, directly and personally -- connecting, and caring, and taking responsibility. Much of practice is just that connecting and reconnecting, taking the practice to heart. Buddhism is a huge collection of various methods and techniques. They can be helpful in focusing energy and dealing with obstacles, but we also need to find the essence of practice so that methods and techniques don't get in the way. One way to approach the essence of practice is through the Tibetan Shangpa tradition's three doors to freedom: insight, compassion, and faith. Insight is seeing how things are. Perhaps the two most fundamental insights are that things are impermanent and interdependent. Everything is impermanent, constantly changing. And everything is interdependent: nothing exists by itself, separate from causes and conditions. Recognize the never-ending flow of experience and events. And recognize that everything is utterly and completely dependent on particular causes and conditions. Such recognition is challenging, but it is possible, and doesn't have to be complicated. can be simple. Practice keeping a continuous thread of attention on the ever-changing flow of sensations, feelings, and thoughts. Whenever you lose track of the flow, just return to recognizing it. Eventually the interdependence of things also becomes apparent: this leads to this; that leads to that. What arises when we don't recognize and appreciate the truth that nothing is permanent or controllable? Struggle and suffering. Compassion means recognizing, appreciating, and caring when struggle and suffering arise for ourself and others. We can't control our experience, but we can bring each instance of struggling to an end, and we can make our intention to live in ways that minimize suffering and tend toward balance and peace. A direct and simple way to practice compassion: whenever suffering arises, recognize it, accept it, and care about it, regardless of whether anything can be done about it in the moment. Just recognizing and caring is profound and powerful -- allowing us to experience and respond to whatever arises. Faith is the third door: the ability and willingness to open to whatever arises, to let go of attempts to control, to let things be what they are. The capacity to live with faith is partly a result of insight and compassion. When we see how things are, and when we care, we tend to have some confidence to proceed. And even when we lack confidence, if we're still willing to take refuge in what is good and true, and we can draw hope and inspiration from ever-changing, interdependent experience itself. 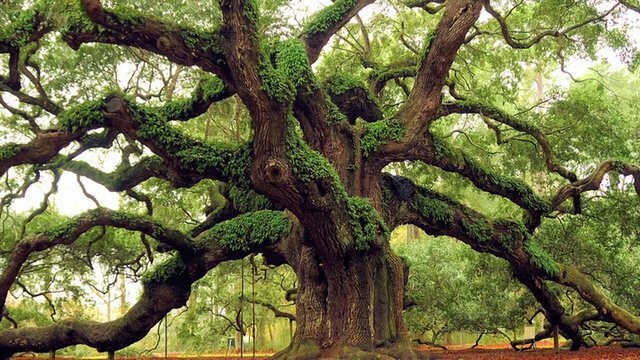 Faith can also be cultivated. Again and again, simply aspire to be able to open to whatever arises. Form an intention to open and respond to whatever arises, without blame, without excuses, without trying to control, without hedging your bets. Practice trusting your inherent, indestructible ability to know and respond. The three doors of insight, compassion, and faith overlap. Each door leads to the others. When we see clearly that everything is impermanent, we gain confidence that we can experience and survive whatever arises. As we see how things don't just arise randomly, but are dependent upon causes and conditions, of which we are just one, then compassion arises for how we get caught up in cycles of reaction and suffering. As we clarify the causes of suffering, we gain faith in our natural ability to make choices that make a difference. If we follow this path continuously, we will find ourselves moving through all three doors, but we tend to have more affinity and access to one or two doors at any particular time in our life or phase of our practice. Keep using the doors that are open to you; your freedom depends on it. May everyone be safe, free of suffering, healthy and happy, at ease in the world. Not for its own sake but to assist us. We would not have to rely on old teachers. And get ensnared by words and letters. And work feverishly to attain the same things. Understand falsehood and it becomes truth. Neither accept nor reject either one. Trying to gauge the depths of life's ups and downs.